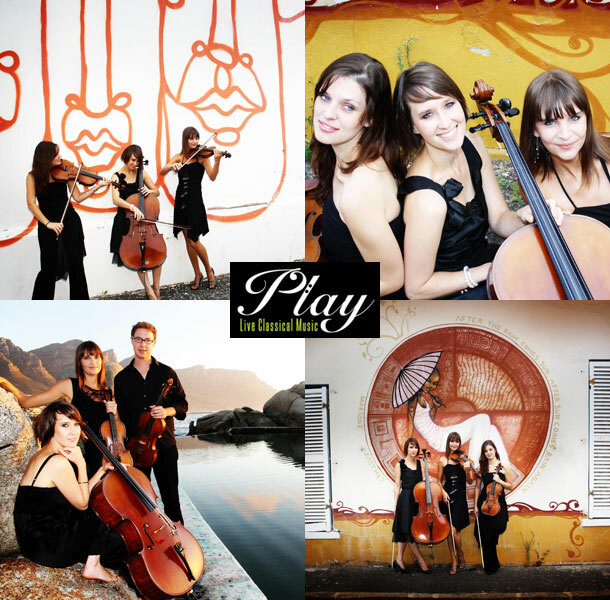 PLAY is a Cape Town based network of young, professional musicians providing exciting live music for weddings, events and celebrations. Our boutique-style company offers classical music, wedding music and jazz. PLAY’s groups include our string quartet, flute and string quartet, guitar and jazz ensemble. The heart of PLAY is our excellent string quartet. 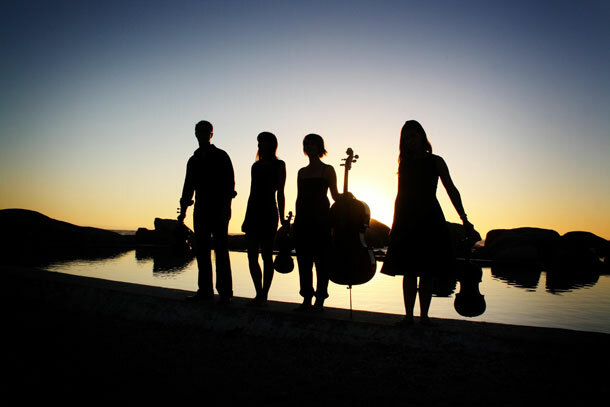 We perform classical music, wedding music, Broadway favourites, jazz standards, tango music and contemporary arrangements for string quartet including Coldplay, U2, The Beatles and Queen. PLAY’s string quartet can be divided into smaller groups to form a string trio or duo. These allow for various price options and ensembles sizes. The same can be done with our jazz ensemble, offering jazz quartet, trio and duo options as well. For receptions, we also offer a seven piece function band with jazz singer! The instruments in PLAY’s jazz groups vary and can include, trumpet, flugelhorn, trombone or saxophone, jazz piano, bass and drums. PLAY will enhance your special day with beautiful live music. For ceremony bookings we suggest a string quartet or guitarist to set the mood for your guests, as they wait for you to make entrance. For the pre-drinks, a guitar duo, jazz trio or string quartet playing light music is wonderful entertainment and creates the unparalleled ambience of live music. PLAY shares a love for performing and aspires to provide awesome music, through professionalism, reliability and superb live music! To book PLAY Music for your special day telephone Dorette on +27 (0)79 898-6228. Alternatively visit PLAY Music for further details or to send an enquiry.